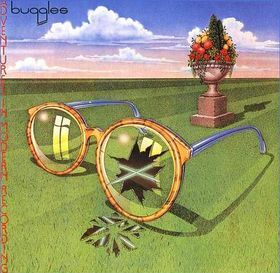 The Buggles are an English New Wave band consisting of Trevor Horn (vocals, bass guitar, guitar) and Geoff Downes (keyboards, drums, percussion). They are remembered for their 1980 debut single "Video Killed the Radio Star" that was #1 on the singles chart in 16 different countries. Its music video was the first to be shown on MTV in the U.S. at 00:01 on 1 August 1981.